Availability : Round the Year. Packing : In food grade, HDPE drums, 220 / 240 l. capacity. Sizes : 4-11cm in length - whole. Best in terms of size and colour. Grown and processed with latest techniques, for consistency in grading and quality. 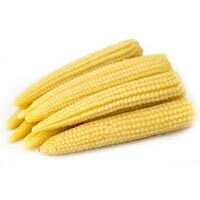 Creamy coloured, between 4-11cm in length, conical with even corns and no external damage. Indian Tropical Agro Products (p) Ltd.
Roshan Fruits India Pvt. Ltd. 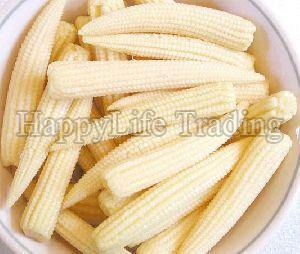 Being a quality oriented organization, we are indulged in providing Baby Corn. 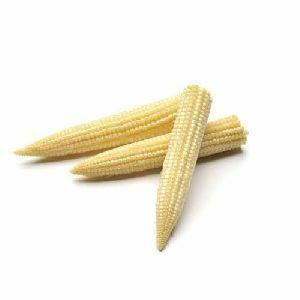 Our Baby Corn is rich in vitamin C, fiber and folic acid which help the body to lose weight and fight against infections. Our product range is cultivated by using high grade manure and irrigated well in the field. 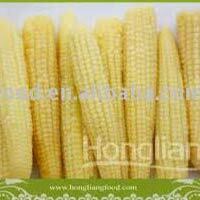 We offer Baby Corn 100 PRESENT PURE . Best in terms of size and colour. Grown and processed with latest techniques, for consistency in grading and quality. 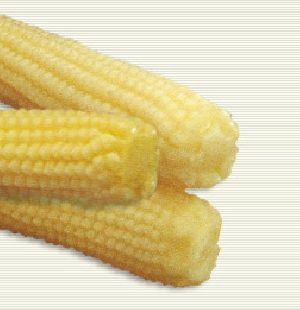 Appearance Creamy coloured, between 4-11cm in length, conical with even corns and no external damage. Colour Cream to light yellow. Firm and crisp. Preserved in Natural Alcohol Vinegar Brine Acetic Acid Customised Recipes Sizes 4-11cm in length - whole. 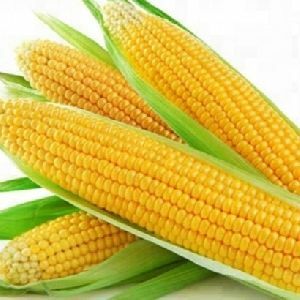 Packing In food grade, HDPE drums, 220 / 240 l.
Product : baby corn category :sweetcorn & babycorn family : poaceae variety : babycorn.sbc-19 description: vigorous, ready for harvest by 55-60, 2-3 tender uniform , light yellow cobs per plant, cobs appear on 4th-5th node, tolerent foliar diseases, cobs weigh 10-15 g, sweet and crispy. 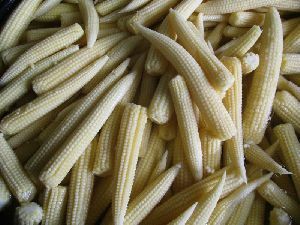 The Fresh Baby Corn, delivered by us, is organically cultivated and is rich in vitamin C and antioxidants. The company has installed all the in-house facility wherein we maintain a large stock for meeting quick and massive requirements of the clients. We settle the financial transactions with our customers through the secured payment procedures. We also settle down upon a variety of negotiable instruments. 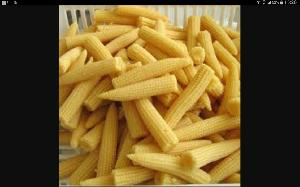 Avail from us Fresh Baby Corn . 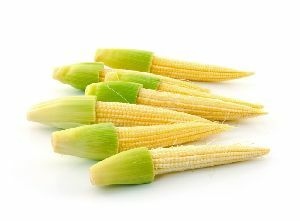 Free from rot and decay, Fresh Baby Corn is organically grown under the controlled conditions by the experts. It is eaten in both ways, raw and cooked. 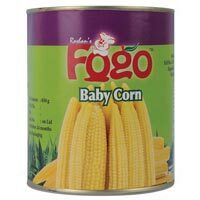 Fresh Baby Corn is hygienically packed in optimum grade packaging material to ensure long shelf life and maximum protection from biological contaminants.